Allures 52 (2016) built by Allures Yachting is the result of Berret Racoupeau Yacht Design and Franck Darnet Design. Williams & Smithells are working closely on the sale of this yacht with our colleagues at Allures Yachting. Please contact us for full details and location to inspect. Afloat and ready to go. Fully equipped Blue Water Cruiser, accom for 6 in 3 double cabins, two very spacious heads, it’s a first class boat in excellent condition, fully equipped, ready to sail. 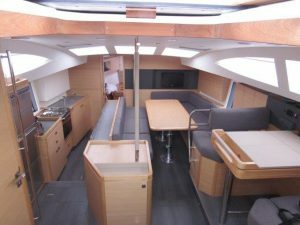 75hp volvo, generator, water maker, solar panels, electric winches, full Simrad electronics, hull insulated, centreboard lifting keel, marine deck side decks and cockpit. 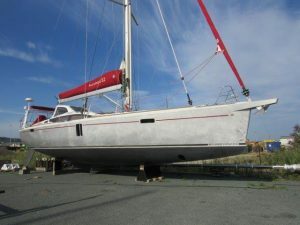 52# 2 (with four 51’s built before) this unit (hull number 6) is prepared and offered for sale by the shipyard brokerage service. 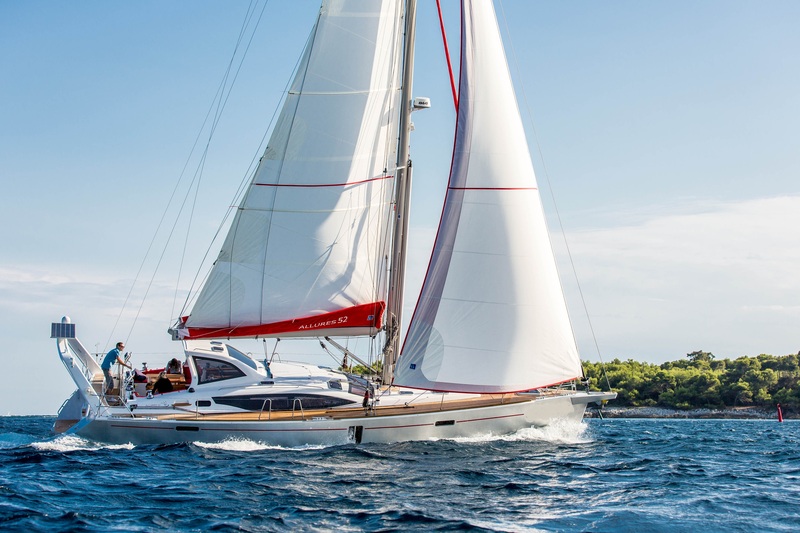 High-quality comfort, easy to manoeuvre, good helm feeling when steering, this sailing boat is fitted with a centerboard which offers access and easy landing on the most remote moorings.